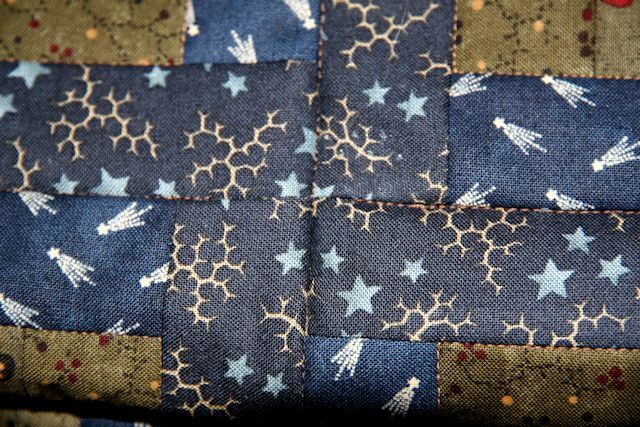 I'm piecing together my QAYG quilt and it is coming together better than I expected. However, I'm having problems at the seams. I am using the no sashing method (http://youtu.be/I_qyb7XxY4k) and all is lining up perfectly, but once I SITD to join the blocks for a row, I can't stitch to the end of the block because I need about 1 inch to be able to join the rows together. The video doesn't address how to join rows together. How should I go about finishing this section? I tried SITD over the main joining seam to finish these secions, but the seams aren't matching up when I stitch them (I'm glue basting and heat setting them). I'm wondering if I just should hand stitch the section or....? Any suggestions would be great. This quilt is the best I've made so far and I don't want these sections to be the downfall of the quilt. This is a picture of the front of the blocks showing where I can't finish the SITD. This is what the back looks like when I SITD to finish off the SITD on the front. Looks horrible and I don't know how to fix it. 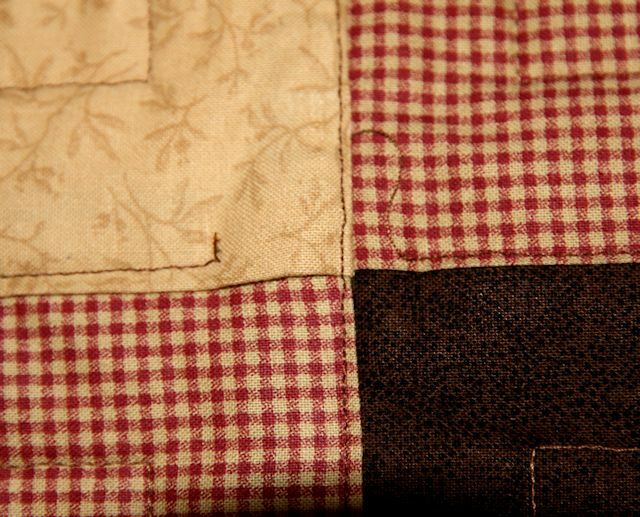 When doing this method I hand stitch the back. If trying to join the sets of lines how about that thread which water dissolves to mark the sewing Line by hand then machine over with the proper thread. Its something I would try. I am interested in the answers too. My reply is a mess. 1. What I do is machine just the front pieces right sides together match seams pin the batting and backing down really well . Press seam. 2.Put seam flat on table the batting will need trimming to fit flat I also just hand stitch up to hold flat I suppose could glue but never tried it yet. 3. Place one backing under the other, ten fold top one to make it fit exactly where the seam is at front.I then hand stitch. I do know some people sew but I always make a mess . 4. 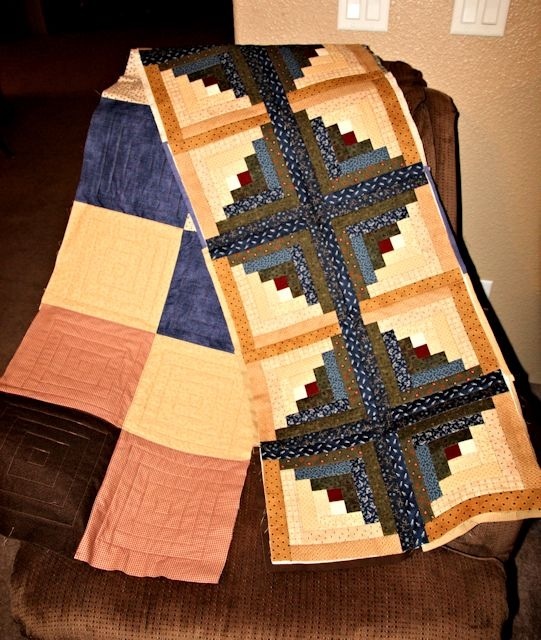 Look at the quilting and finish off . Of course when you get going this can be chained for one stage at a time. I. Made this quilt in 9. Parts like this one .i joined then using the methods above and as you can see it was joining on a curve. It worked very well bu didn't take any more photoes. Last edited by DOTTYMO; 04-22-2013 at 09:51 AM. This is how I joined the blocks. I think I'm going to hand stitch the section on each block that I can't machine SID. If I do it correctly, it should look ok. If I don't do this, I'll have to remove all the joining SID and do it all by hand and leave the outside of each block without any SID. Argh! I don't know what to do. So I decided to rip out the SID where the seams were joined for the blocks and hand stitch them. Much happier with how the back looks now - less sloppy and more finished. This shows the back hand stitched. Sorry for the poor quality photo. I hate iPad pics. Why not just get it all pieced together first and then do the SITD of the block connections? 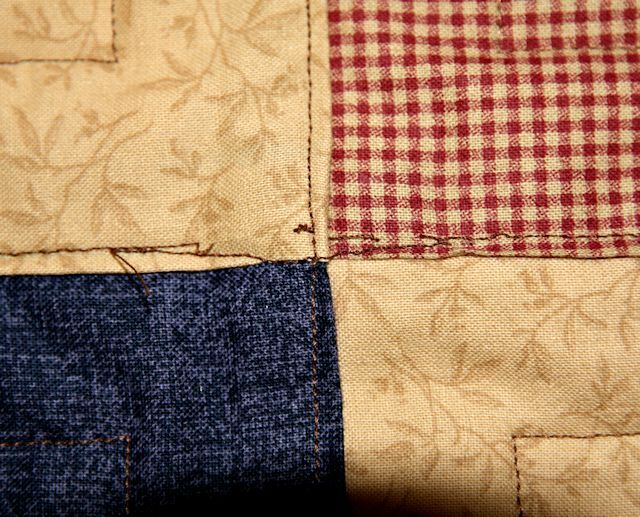 I hand quilt and really don't know what I am talking about but don't see why you are doing the quilting a piece at a time. You can ignore me if I am being ignorant. What I see is gorgeous. Good luck in getting it all together. That is what I did, but the SID wasn't working correctly on the back, so it had to be abandoned. Hand sewing them together on the back is much better. SID is one technique I hate as I am no good at it. I have friends who manage to do the SID with a great deal of pinning first to line up. And go very slow. They are mother and daughter. If you sort please let me know asi love this technique. Saves so much time not quilting and turning etc a large quilt. 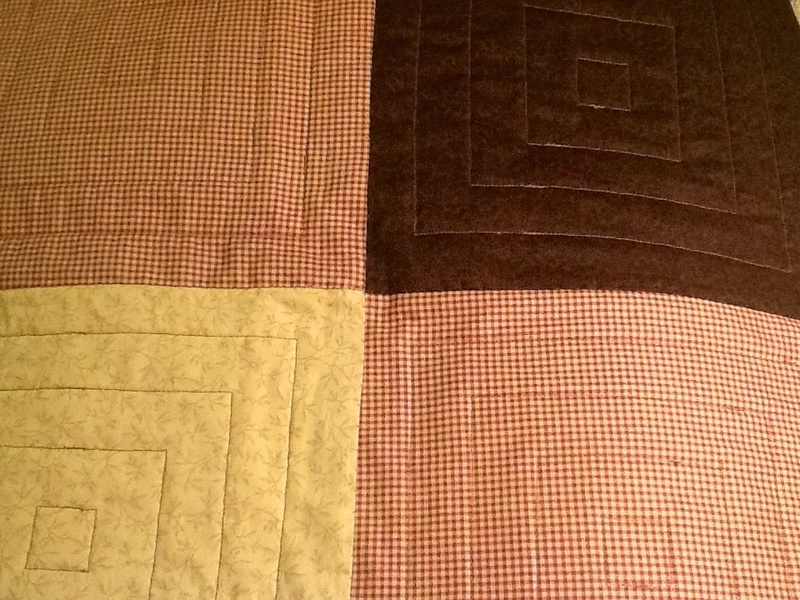 The method can be used by dividing the quilt into fractions and joining them not each block. Just thought I did a Ferret class don't know if this will work.before quilting. 1. Right sides together batting on top of right side . Join the seams. When you press I found cutting section of batting of folded flatter. Press well. 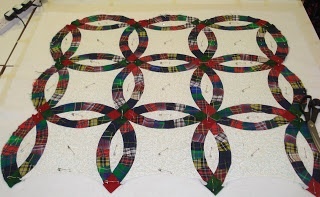 Now you can quilt piece just put on. Hopefully anbettermatch. Last edited by DOTTYMO; 04-22-2013 at 10:13 PM.